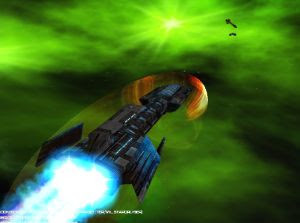 In September 2003, Battlecruiser Generations, the fifth title in the acclaimed Battlecruiser series, was rebranded as Universal Combat. The title is a new and improved sequel to the original Battlecruiser series with a more action focused theme. It contains several brand new engines, over fifty new features, several improvements and enhancements as well as an all new 3D model database. Universal Combat brings you seamless battles of epic proportions through air, land, sea and space! Experience more than 250 planets, containing more than 21,000 areas of interest, 12 playable races and more than 500 combat units. This game is massive in every sense of the word!